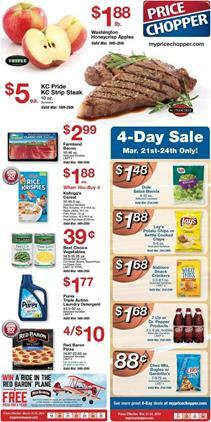 One of the ways to save at Price Chopper is the weekly savings that are the contents of the Price Chopper Ad. Regular grocery products from different departments like dairy, deli, grocery, frozen, pet care, fresh produce, and more are available in the ads. Save with extra tools like printable coupons. Matchup the coupons with the ad deal to lower the cost of all items. Coupons change on a weekly or daily basis. Sometimes they have promotions to win something or they promote a certain group of products like for example, Lenten food. Events, rewards, and online services can boost your savings. Chopper Shopper is a reward program of Price Chopper. With the rewards, it’s possible to reduce the costs of foods, pharmacy, fuel, and you can learn how to use them with the videos by the retailer. Redeem your rewards during your shopping trip and get savings. Also, join saving star to use coupons to save more. Matchup these deals to get the maximum amount of profit. 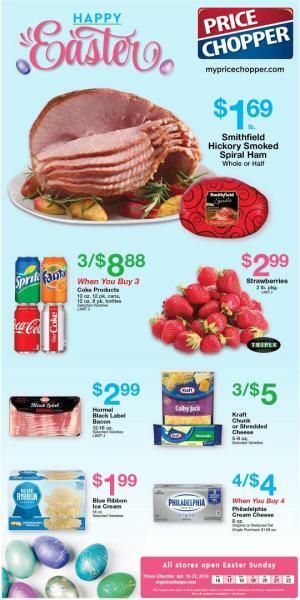 Price Chopper offers the lowest price guarantee. Find a lower price than theirs and they’ll beat it.